To take pansorama photos, we need to rotate our camera. You just don't want to mess it up if you want a good stitching quality. 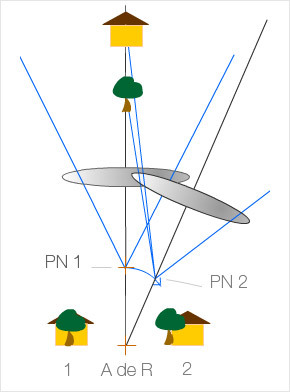 You don't want to "stupidly" put your camera on a classic head but rotate it around an "ideal" rotation point that is located somewhere in the lens and not below the camera. When you rotate your camera around this point, the stitching is often perfect or very good at the first try, without stitching artefacts. 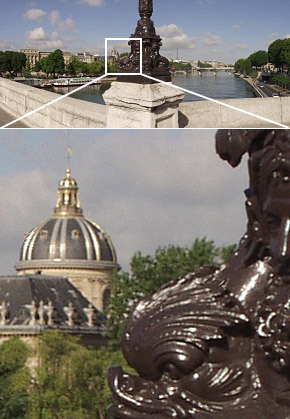 It's the most specific vocabulary word of panoramic photography but also the most famous and the most important. It is fundamental if you have at least a foreground and a background to shoot. In these conditions, the foreground can move in relation to the background and create defects of stitching. 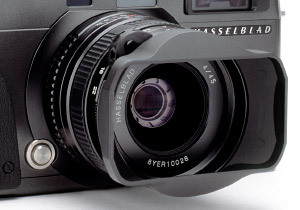 When shooting with a teleobjective lens, it is of course less important. In panoramic photography by stitching, it's important that two consecutive images are shot from the same point of view to overlap well when stitching. From this point of view, perspective doesn't change. 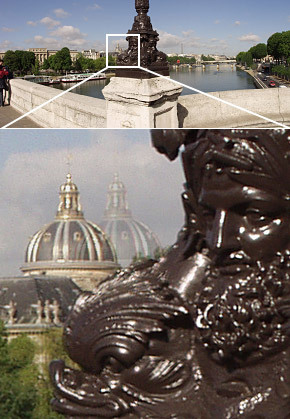 The foreground and background will overlap exactly in the same way, whatever the direction of the camera, from the left to the right (image here). Well if you rotate your camera "normally" around you to cover a panorama, you're getting pretty far from the ideal rotation point. 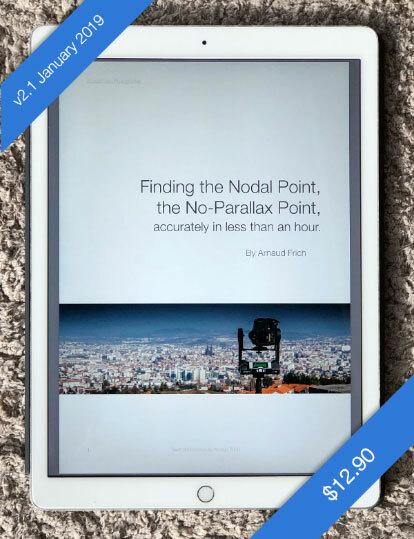 "Find the nodal point or no parallax point accurately in less than an hour"
In a lens, there are two nodal points and two pupils (entrance and exit). 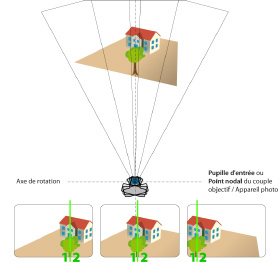 The entrance nodal point is thus different from the entrance pupil but it's around the entrance pupil you have to rotate the camera with the stitching method to get perfect overlaps. 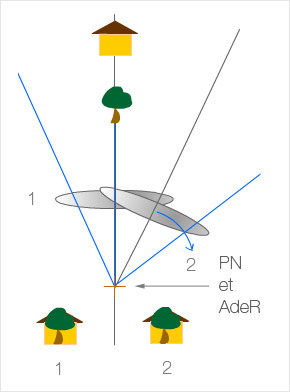 What happens when the nodal point (thus the entrance pupil or No parallax Point) of the lens and the rotary axis of the head overlap or not? What happens when you set your camera on a classic head? The point of view hence the perspective (parallax) change as shown in the pictures below. Here is the illustration of my words in a picture of example. 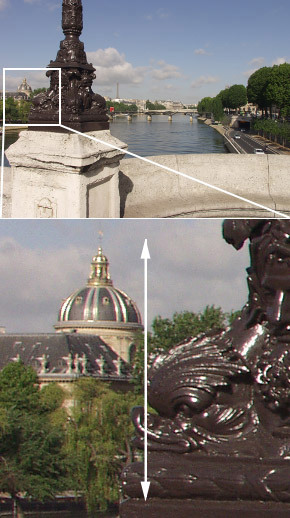 I took a serial of photos from the famous Pont Neuf in Paris. 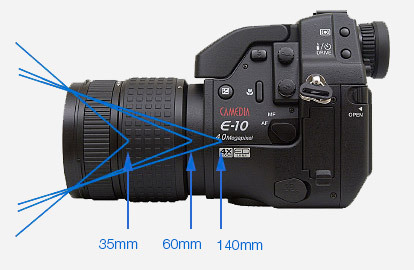 The photos will be stitched with the panorama software Autopano Giga. In these two photos we want to stitch to make a panorama, we just made sure to keep an overlap zone between the two photos in order to have a stitching zone. We can see very clearly that the fore and the background don't move at all anymore. 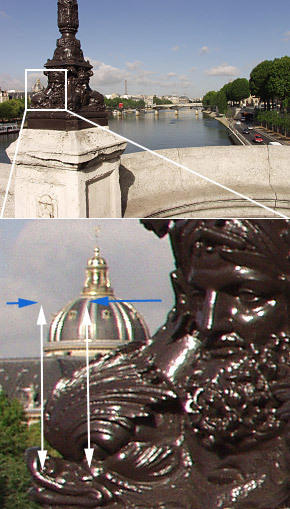 The dome and the street lamp are also aligned on the two photos while we did rotate the camera. The panoramic head is perfectly set to make stitching easy. We placed the nodal point of this lens just above the rotary axis. 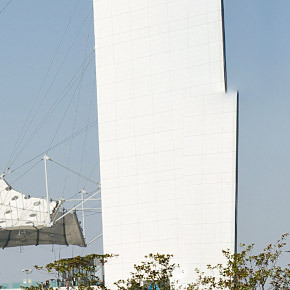 The two serials of two images have been stitched with the panoramic panorama software Autopano Giga. It's one of the many image panorama software on the market, but one of the most powerful if not the most powerful in my opinion (read my review). 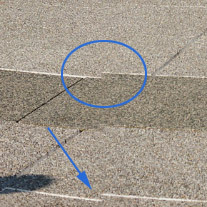 Here's typically the type of stitching defects we may find with certain panorama software, in general less powerful because the most powerful among them can "erase" this type of stitching artefact (in Autopano Giga, it's a linear stitching, for the sake of education!). However, when the camera isn't set at the nodal point and we're shooting a city landscape with numerous geometric lines as below, even the best panorama software can't do miracles! Here are the stitching defects we can see on the final image, even stitched with the best software, when we didn't take time to set the camera correctly hence at the nodal point. 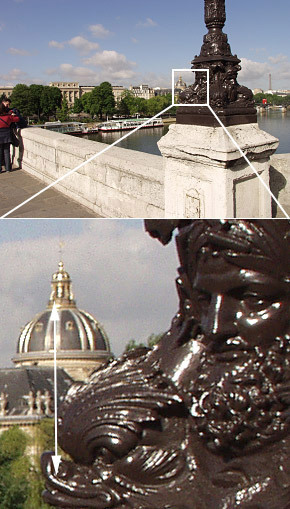 When the software stitches two images, it looks for overlap zones common to the two images. When the images are identical, the stitching is of high quality and the overlap zone completely invisible. 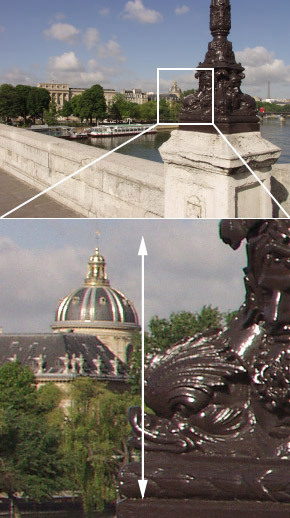 However, when the two images haven't been taken at the ideal rotation point, what happens next is unavoidable: either the software aligns the foreground of the two photos or either the background. It picked the street lamp in this case. The final image possesses stitching artefacts in the distance that we'll have to eliminate with Photoshop, for example, using the layers and layer masks. 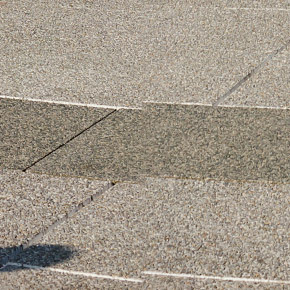 If you're shooting a very graphic environment as you can find in a city, you'll probably experience big stitching difficulties.